What You Don’t Know About SEO – Infinity Marketing – The Small Business Marketing Specialists! For anyone out there with questions regarding SEO, this awesome blog from Entrepreneur.com, explains what you need to know regarding SEO! It’s essential to understand SEO before you spend thousands hiring consultants you may not even need. 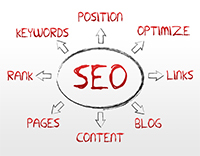 Search engine optimization–the canny use of keywords and other techniques designed to shoot a website to the top of a search–is the make-or-break factor for many new businesses. It is also the web’s unfolding, and unregulated, frontier. There are countlessÂ SEOÂ strategists, consultants and self-professed experts who will claim they can beam your site up into Google’s top 10 search results–for a price, of course. Consultants commonly charge upward of $200 an hour, and most will pressure you to sign a contract that keeps them on retainer for months–at prices as steep as $12,000 a month. Unscrupulous SEO firms not only make promises they can’t keep, the worst of them also use shady practices that might produce no traffic, deliver the wrong traffic or even get you banned from planet Google. For the startup owner who isn’t well versed in webspeak, hiring an SEO consultant is one of the more vulnerable moments in launching a new business. So before shelling out thousands of dollars, it’s essential to understand what they do, when you need one (and when you don’t), how much you should pay, what you should you expect–and when you should fire them. First, experts generally agree that SEO firms are most worthwhile at the development stage of a website. For example, for $225 an hour, Kent will take a spin around your site, looking for the elements that will get you to the top of a search–clean URLs, site maps, heading tags, page titles. Ideally, he says, someone like him helps lay a solid, searchable foundation for a site as it’s being constructed. Beyond that, Kent and other experts don’t see much value in contracting with an SEO firm. “Once you optimize the website and everyone on the team understands what needs to be done, there should be no cost moving forward,” he says. SEO firms that ask for a lump sum payment as well as a monthly retainer–or worse, a long-term contract–are suspect. Yet such deals are common. “They weren’t getting us ranked anywhere,” Bess says. “They would send us reports and say we were ranked. But we were ranked No. 44 [on Google] for the search term ‘Internet advertising in America.’ When was the last time someone actually searched for the words ‘Internet advertising in America?’ ” Frustration finally led Bess to learn the SEO game for himself. He hired an ex-Google engineer to teach Optimal’s team members in a half day what SEO firms said would take at least six months of contracted work to achieve. That not only helped their business, it also gave them expertise to share with clients, which include as-seen-on-TV products such as the Snuggie blanket and Sham Wow, the super-sucking sponge. “If you’re trying to rank the word ‘Ab Circle Pro,’ don’t write on the title ‘exercising is fun,’ ” Bess says. The Right Keywords Google, of course, is the web-search alpha dog. But all the others–Bing, Yahoo, Ask.com, Lycos–are sniffing out the same stuff. What gets their attention? Good, fresh, focused content. Adding a blog is one of the easiest and most straightforward ways to bulk up on content. If you sell hair-removal devices, for instance, start a blog that explores all aspects of waxing, plucking, threading, electrolysis and so on. Over time, your site will accrue searchable heft. How do you size up keyword quality? One method is to useÂ Google’s AdWords Keyword ToolÂ , which reveals how many monthly searches are conducted for a word or phrase. If a search term produces more than 50,000 searches in a month, it will be difficult for your site to compete for Google’s attention using that word or phrase. But you can also use AdWords like a thesaurus: It handily delivers a list of alternatives for you to sift through to find lower-volume, but more focused, keyword phrases. Using those, you’ll have a better chance of rising up the ranks. Google also has aÂ search-keyword toolÂ that will scan your existing site and suggest keywords. Relevant Page Titles So once you have your list of keywords, where else do you use them (besides your hair-removal blog)? The obvious spot is the keyword field, part of the hidden meta data that is attached to every web page. But last fall, Matt Cutts, Google’s head of Webspam, wrote on hisÂ personal blogÂ that the search engine behemoth ignores keyword meta tags when ranking websites. The revelation caused quite a stir in the web search world. It confirmed what many experts suspected: Google was combating professional spammers who practiced “keyword stuffing” to achieve higher rankings. So now it’s page titles–the line of text that appears at the top of your web browser–that are believed to be the most important few words in the SEO universe. (The title is also what shows up on Google’s search result.) A page title tag field is standard on most blog programs, includingÂ TypePadÂ andÂ WordPressÂ ; any web programmer should be able to customize one for sites built onÂ DrupalÂ orÂ JoomlaÂ , two popular content management systems. Another place to plant keywords is each page’s description field. Customize the description for each page of your site, and write them with some care, because the first 120 characters show up on Google, tucked between the page title and address. Plugging keywords into all these critical spots is time-consuming–but it isn’t rocket science. Getting it done, even if you need to update existing pages, shouldn’t be expensive. Getting the Links So what might be a good use of your SEO dollars? One word: Links. To do link outreach yourself, Kent, theÂ SEO for DummiesÂ author, suggests this strategy. Scour the Internet for blogs that correspond to your product or service. Create a simple spreadsheet of contact e-mail addresses for all of them. Craft a polite introductory letter describing your site, and simply ask to be included in any list of links on its site. Offering a reciprocal link, a coupon or some type of promotion can help. Still, many entrepreneurs in the startup phase don’t have the hours to spare on mastering the art of SEO. If you must hire a consultant, though, do so with caution.Â Ask lots of questionsÂ . Don’t sign long-term contracts. Lisa Josephsen, a partner at Rocket and Walker, a Manhattan-based web development company, frequently pairs up with SEO experts when building new sites. In the course of interviewing them, however, she’s come across plenty who are willing to compromise design and usability for the sake of the ranking. Others simply want to lure visitors–any visitors. Bad ideas, she says. Make sure your design and SEO teams understand your business model and are the right fit. “You might be getting 100 calls a day,” she says, “but they might not be from the right consumers.” Josephsen recommends keeping an SEO team on call for three months or so after launching a website to get good traffic analysis and advice as you refine your site. Think of Google, Yahoo, Bing and other search engines as customers, and each page of your site as a box. Your customers want to know what’s in the box, what shelf it’s on and the address of your store. Simple, right? Google lays out the nitty-gritty on best way to do that in a downloadableÂ Search Engine Optimization Starter GuideÂ as well as on itsÂ Webmaster CentralÂ pages. But here are some quick-start tips. Flatten it.Â All pages need to link to one another–but you want to keep things as “flat” as possible, meaning that each page can be accessed with only one or two mouse clicks. Explain it.Â In the description field, enter a few sentences about the content of that page. Think of it as the text in a catalog. What makes your blue beanies special? Are they alpaca wool? Map it.Â Your customers would really love to have a map to all the boxes in your store, called an XML site map. Don’t know XML from an X-Box? No worries. There are plenty ofÂ software programsÂ that can do the job. Tag it.Â You’d be confused if this article didn’t have a headline, right? Without an h1 heading tag on each page of your website, search engine crawlers have trouble understanding content, too. The Optimal OptimizerÂ So you’ve decided you really, really, really don’t want to do your own SEO. Fine. Hire a consultant. But here are five questions to ask before you sign a contract–or a check. “Do you have any references?” Get names, numbers and examples of past work. And actually check them. “What results can I reasonably expect and how long will they take?” Demand a detailed game plan and don’t accept vague answers. Shut the door on anyone who promises the No. 1 spot for a certain keyword or claims to “know a guy at Google.” They’re lying. “What is your experience in my industry?” You wouldn’t expect a barber to know how to fill a cavity. So why would you expect an SEO team that has worked only with nonprofit science foundations to understand your fashion boutique? “What techniques will you use to achieve my goals?” Listen for warning signs of “black hat” tactics. As a trick question, find out if your potential “expert” spends a lot of time working with keyword meta tags. If so, you know this isn’t the right person for the job. “How often will we communicate and by what means?” If you expect instant responses to 3 a.m. e-mails, make sure your consultant isn’t a monthly conference-call kind of guy. This article was originally published in theÂ February 2010Â print edition ofÂ EntrepreneurÂ with the headline: What You Don’t Know About SEO.